The Texas Lone Star list is a recommended reading list developed by public and school librarians from the Young Adult Round Table. 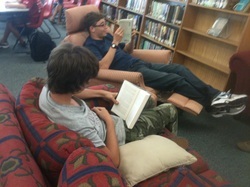 The purpose of the list is to encourage students in grades 6, 7, or 8 to explore a variety of current books. 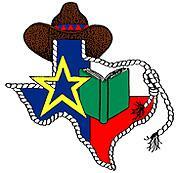 The Lone Star list is intended for recreational reading, not to support a specific curriculum. Due to the diversity of this age range, Texas librarians should purchase titles on this list according to their individual collection policies. Each book on the list has been favorably reviewed for grades 6, 7, or 8 in a professional review source. ﻿NEW 2018 Lone Star List is Here! Click HERE for annotated list! 2018 Lone Star Book Trailers! Click HERE! 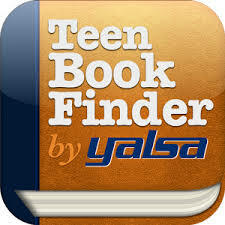 Scroll way down to check out TAYSHAS book trailers. Check out the NEW Ultimate Teen Reads List! Click below to follow favorite authors on Pinterest! Tune in to what's happening at your public library. New site! Connect to other teen readers. The 20 best new books for middle school students. View lists from previous years here too. What's the next book in my series? I can't wait for that book! Find out the release date of books about to be published. I like this book so much! What's another book like it?